Bathrooms can be creative! 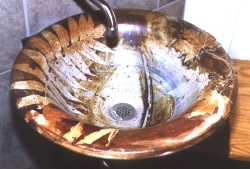 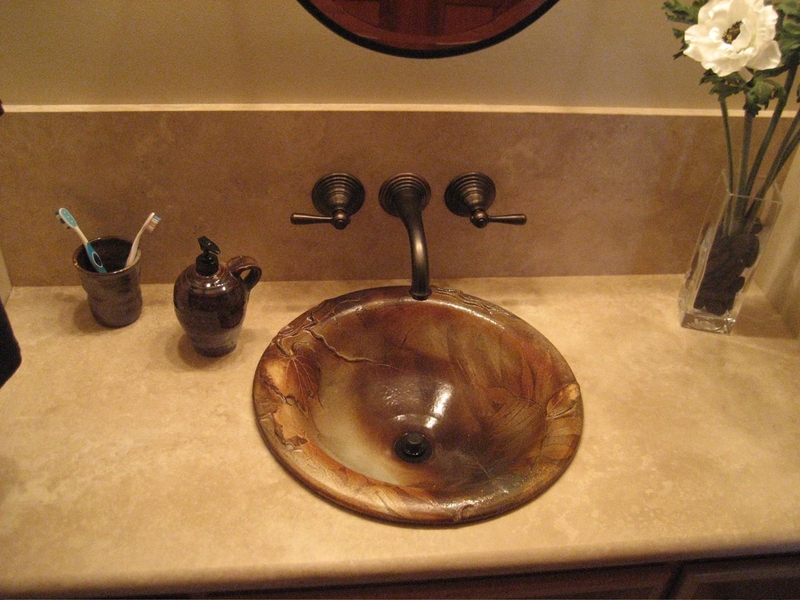 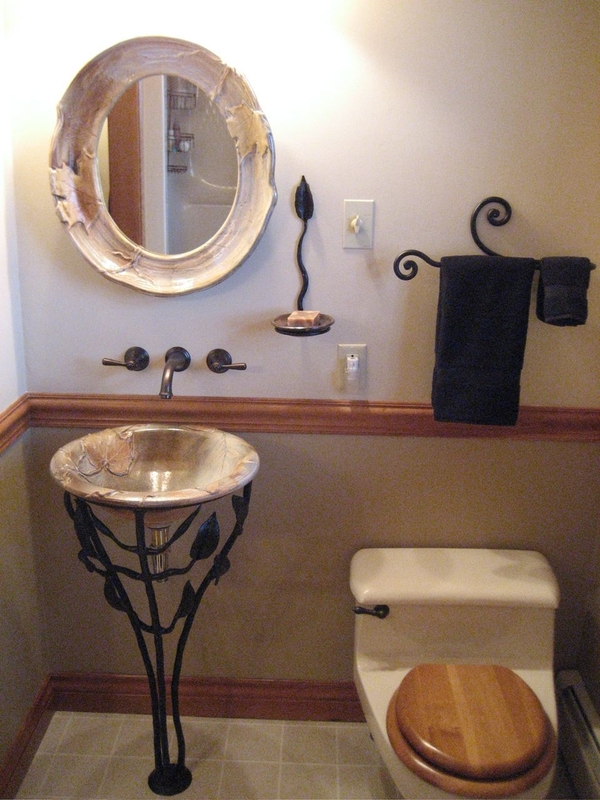 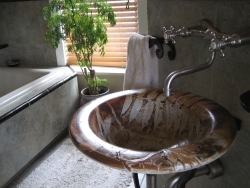 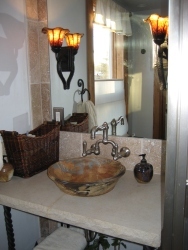 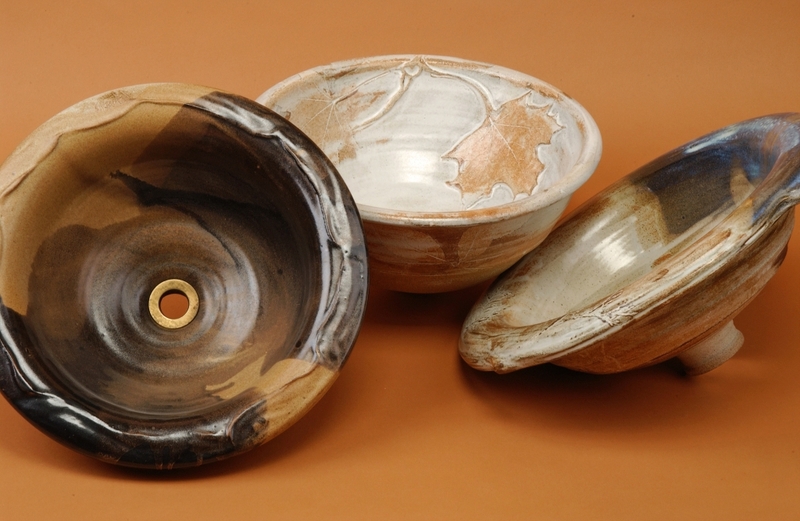 We have a selection of our one-of-a-kind wheel thrown sinks to choose from. They can be used alone as drop-in sinks or we can make an iron wall-mount or pedestal for the sink you choose. 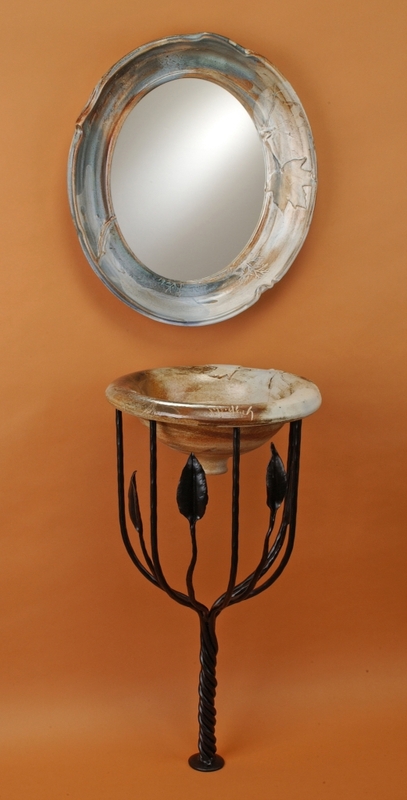 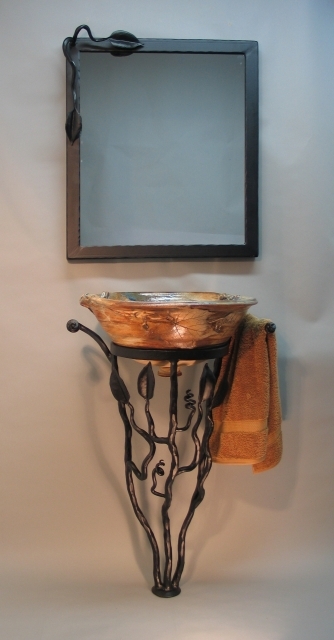 Iron accessories and pottery mirrors are also available.